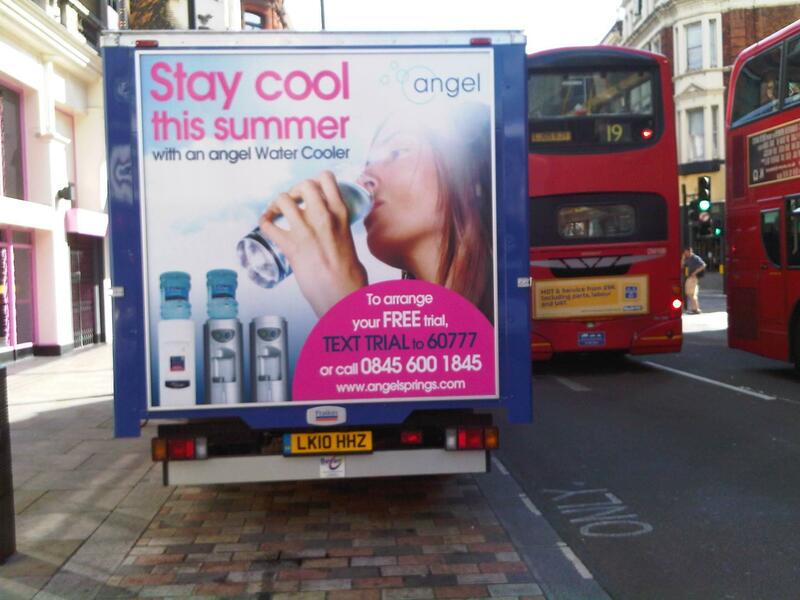 Water flows freely and sweetly out of the tap, so why are some companies driving around London in polluting heavy goods vehicles dropping off bottled water? Are office workers really too lazy to fill a bottle and put it in the fridge? Do they buy the marketing crap that water out of a plastic bottle is somehow better for you? Do they actually think this water is from Eden and that they will be eternally youthful if they drink it!? This is disfunctional capitalism driving a bizarre step backwards in progress. 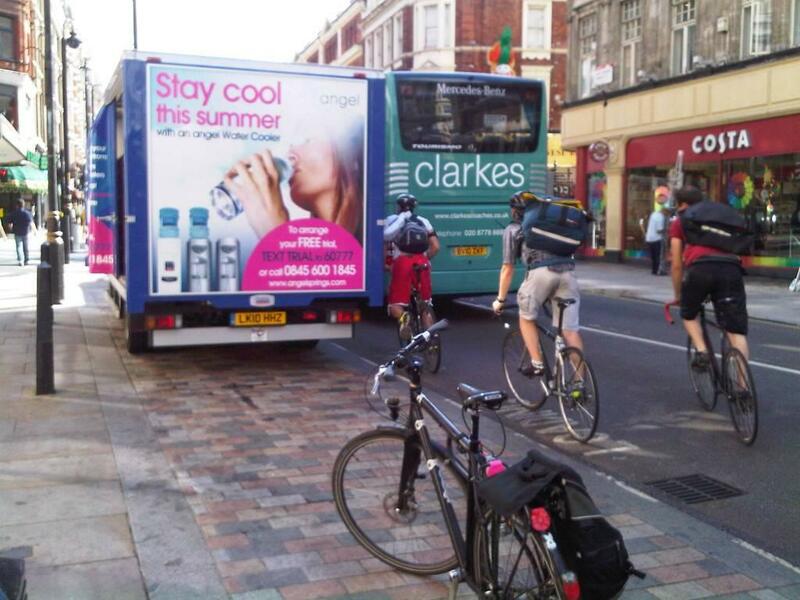 Under the roads that we cycle on are a sophisticated network of pipes which carry high quality drinking water to every building in London. 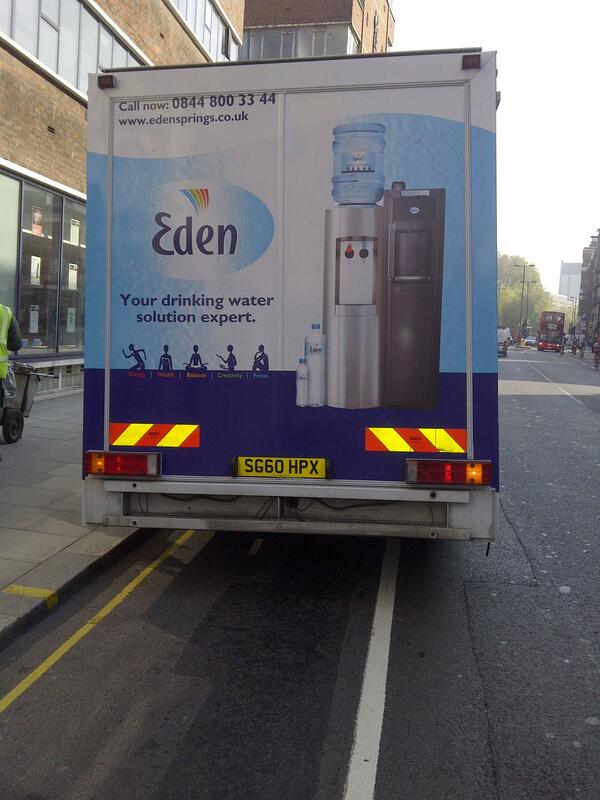 Since the engineering genius of the Victorians all we have had to do is turn on a tap and hydration is sips away. Now, 150 years later this company has decided to turn the clocks back and turn a profit by delivaring water to paying customers (morons) above ground, contributing to the congestion of the city. There is evidence that bottled water is actually less good for you but the real issue here is the massive waste of resources and, therefore, the unnecassary impact on the environment. This is a different part of my commute to work but look; same problem. 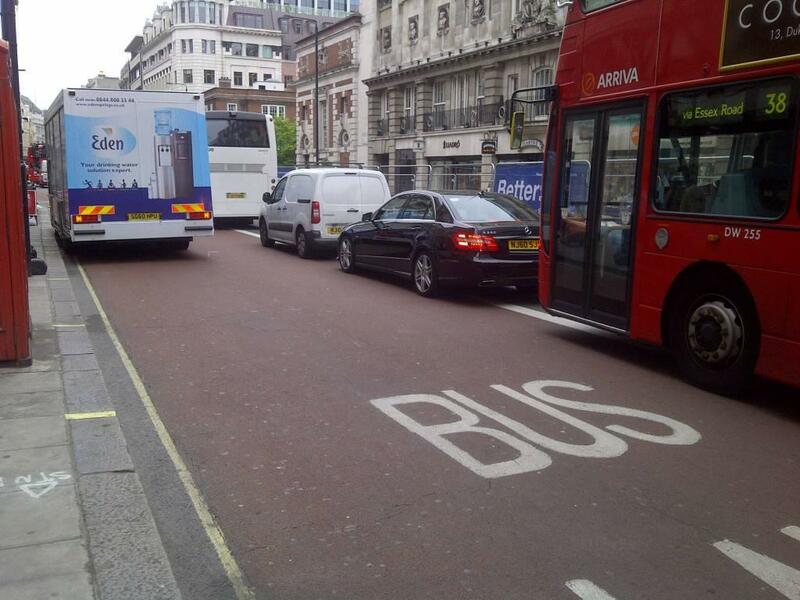 Eden, the 'water solution experts' are not only blocking bikes, they are now blocking a whole bus lane. Hhhmmm, great 'solution' guys! 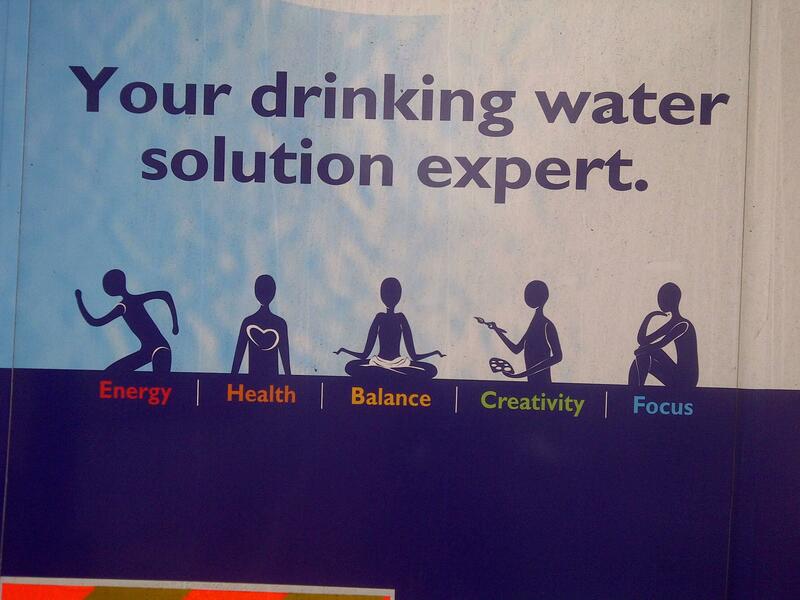 I don't know what bugs me more... that this company names themselves after the unspoilt, natural womb from whence we came, or that they seem to suggest that they have some kind of ownership of the ubiquitous health benefits of water. These guys are douche bags and anyone that buys this product is also a giant DOUCHE BAG. Whatever! Wicked bike in the front of this shot! !